Different students prefer to live with a different number of roommates. 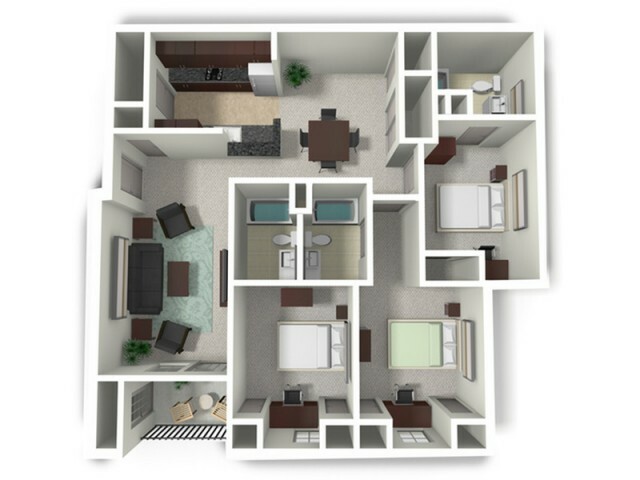 We get that, and to accommodate, we provide 2-, 3-, and 4-bedroom apartments for students to rent, maximizing the ways for students to get what they want from their housing. Each bedroom is given their own bathroom to ensure each resident has the privacy they seek. 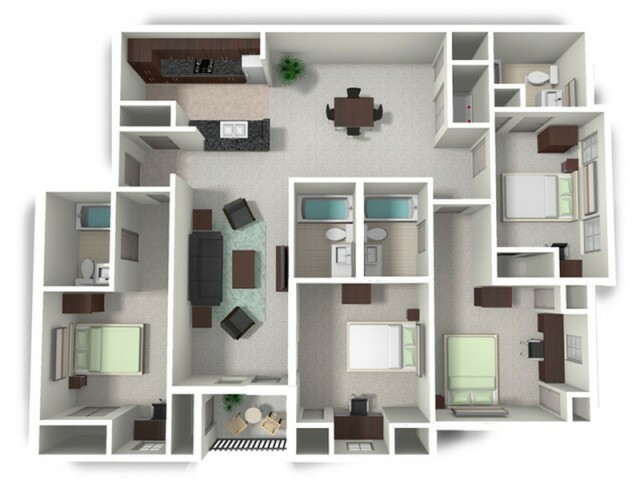 Live the lifestyle you want as a student while enjoying the aesthetic of our faux wood flooring and stainless steel appliances along with our patio and spacious living room. You’ll feel the difference in the weekly college grind. And if your arms are full of books, don’t worry about finagling with your key; we have an electronic lock system that increases security and ease. 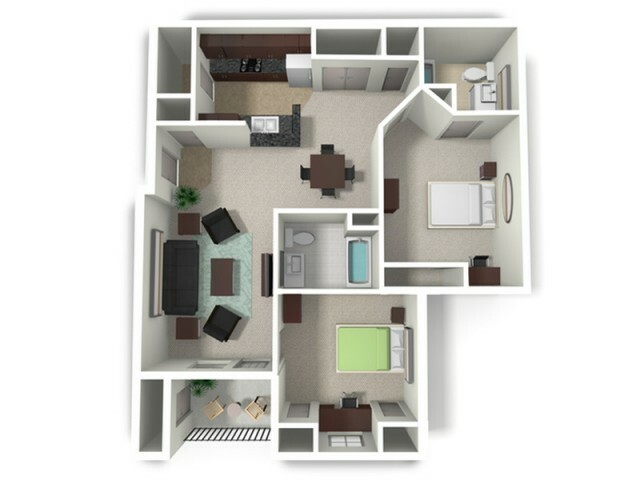 Visit us today to talk to one of our friendly staff members about our various floor plans and our facilities!